Scientists have long dreamed of creating synthetic structures out of the same raw material that nature uses in living systems—proteins—believing such an advance would allow for the development of transformative nanomachines, for example, molecular cages that precisely deliver chemotherapy drugs to tumors or photosynthetic systems for harvesting energy from light. Now a team of biologists from The University of Texas at Austin and the University of Michigan have invented a way to build synthetic structures from proteins, and just as in nature, the method is simple and could be used for a variety of purposes. "It's like how people use 3-D printers to make things out of materials they wouldn't have used in the past," Taylor said. "This new method gives us another option for materials. These materials are easily obtainable, inexpensive and not harmful to the environment." Grey goo is daimondoid self replicators - self replicators made of materials nature can't break down. Abuse of nanotech is still more a problem than accidents; but, no one wants to go threre! there's a lot of tools in place that can work with this and make protein nanotech happen now - there's the Washington States Rosetta software, and some electromagnetic powered nano-motors. 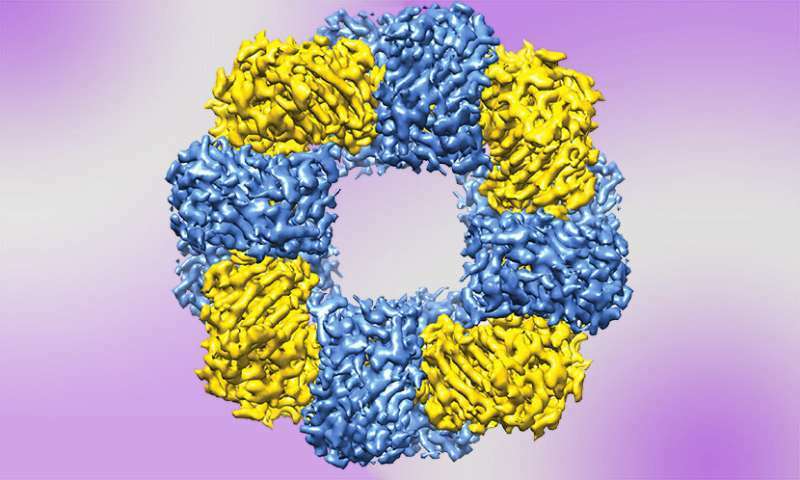 Natural proteins do such advanced things by folding into complex objects. I wouldn't be surprise if they concluded it took 13 billion years to evolve, or trillions of years (or near infinity) and our universe's time scale is off. "Grey goo" is just pure ignorant nonsense and always will be. Such paranoia against nano-technology steps from pure ignorance of it and basic scientific facts, such as the fact that nature, more specifically cellular biology, has evolved its own 'nano-technology' (or a close analogy to it if you prefer being pedantic) for billions of years and yet the world has never come to an end from that! Examples of this are the microtubules in living cells and the molecular machinery that drives cilia that looks suspiciously like artificial machines when viewed in diagrams so we can definitely say they are NATURE'S nano machines! Please stop believing this pure nonsense that something made arbitrarily small must magically necessarily makes it dangerous! cellular biology, has evolved its own 'nano-technology'... for billions of years and yet the world has never come to an end from that! Just because X has been done before does not make it safe, especially if X once killed nearly everything. The world has come very close to ending due to natural evolution... e.g., the great oxygenation event. (Of course it didn't end the planet, but did kill off most of it's species). Agreed. But in this case it indicates it is safe. Evolution failed to make a domesday 'gray goo' despite BILLIONS of years doing its worst thus indicating 'gray goo' is impossible for that begs the question of WHY it has failed to do this despite BILLIONS of years? The world has come very close to ending due to natural evolution... e.g., the great oxygenation event.